To kick off Family Engagement Week in the Knox County Public Schools, HealthCorps through Berea College’s Promise Neighborhood and Union College partnered to host a National Night of Conversation event on the Union College campus. Dr. Jeffrey Howard, Kentucky State Health Commissioner, was the headline speaker for the event held on Tuesday, November 13. Howard is a Union graduate and Harlan County native. 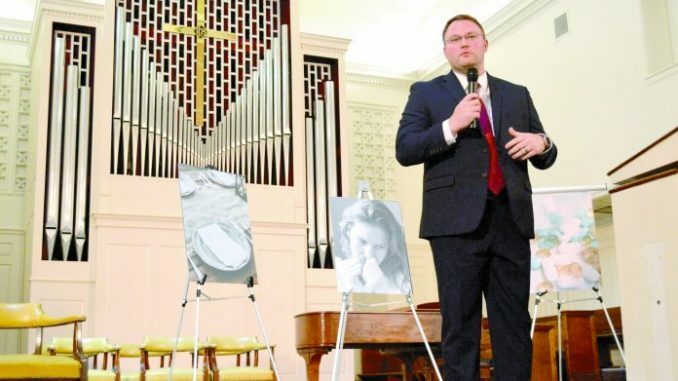 Howard spoke on the opioid epidemic that is hitting home for him in southeastern Kentucky. 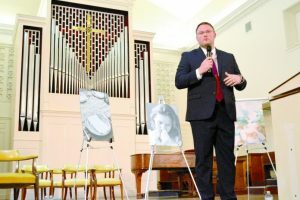 The National Night of Conversation is held to engage families in a conversation about drug and alcohol abuse. At an assembly held prior in the day, Howard and other guests spoke to junior and senior high school students from Knox County. 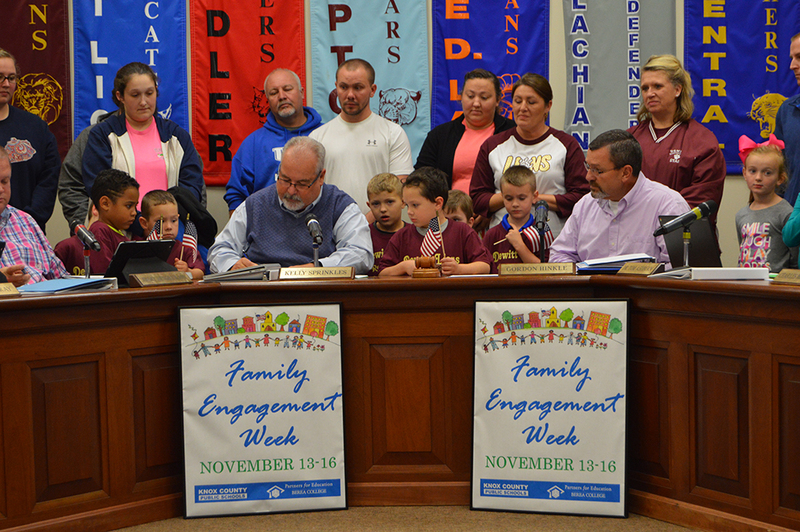 The Knox County Board of Education recognized the event by issuing a Family Engagement Week proclamation at their meeting in October. 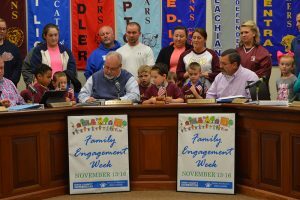 The proclamation, read by Superintendent Kelly Sprinkles, was a call to action as it included facts such as students who have families who help them set high expectations and talk with them about school and future plans are more likely to succeed. He called upon the entire community, schools, and families to uplift the importance of family engagement and critical conversations throughout the year.